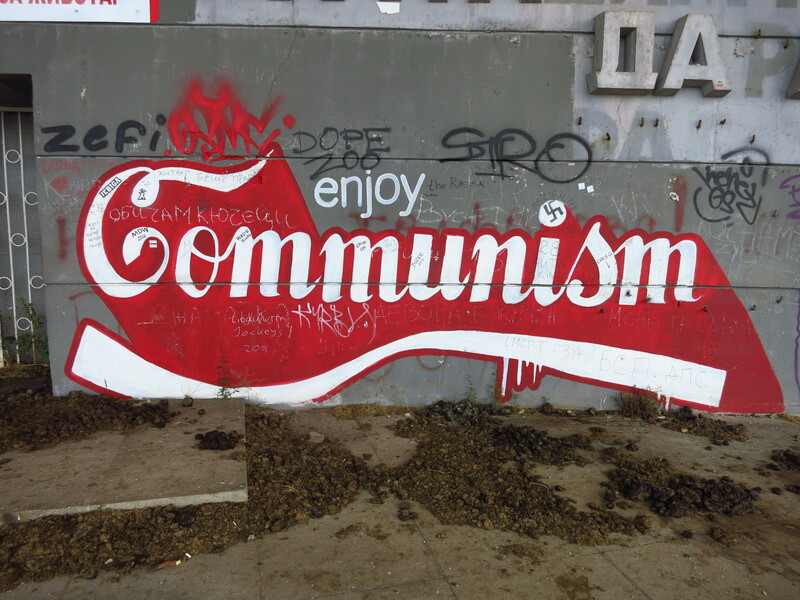 Last summer I visited this incredible relic of Bulgaria’s communist past and found it in a sad state of disrepair. The snow and low temperatures of winter had damaged the domed roofed so badly that the danger of collapse was imminent and the authorities had welded shut all doors and windows to prevent access to the inside of the building. 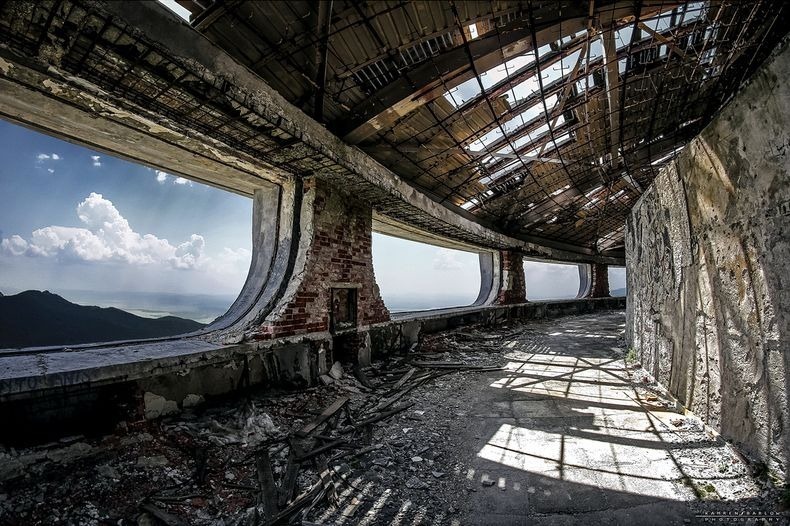 A combination of bad memories of the country’s communist era and lack of funds for its maintenance left the building to slowly deteriorate alone atop the mountain, but contrary to what most people thought, it has not fallen into oblivion. In recent years it has become a rather popular destination among independent and adventure travellers, photographers, and all sorts of people drawn to the strange but compelling attraction of abandoned places with an interesting story within its walls. The ownership of the building was transferred from the state to the Bulgarian Socialist Party in 2011, but with restoration costing an estimate 7.6 million euro and a further 75,000 euro per year in maintenance, the party had doubts about what to do with it. The recent surge in interest in the building prompted a group of young Bulgarians without any political ties to wonder how the country could capitalise this interest and at the same time preserve an important part of its historical heritage. 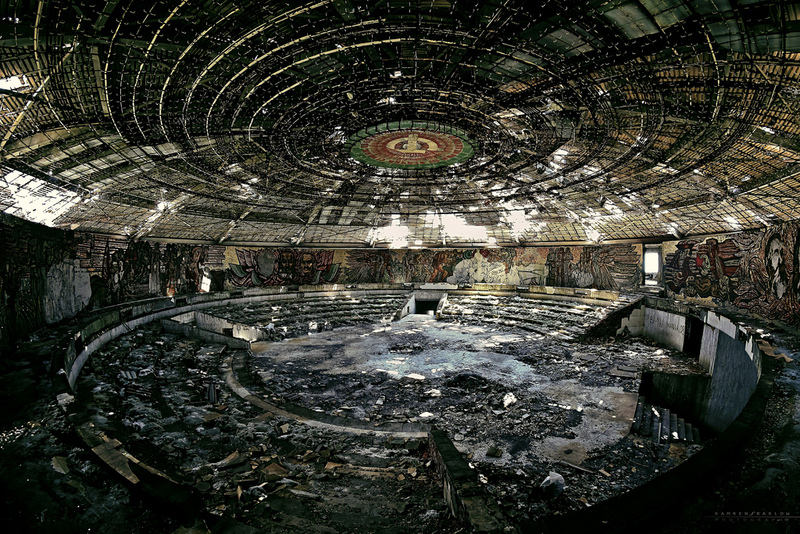 Dora Ivanova, a 26-year old architect, has designed a project to restore the monument and turn it into a museum of Bulgarian history under the name ‘Buzludzha, Memory of Time”. She estimates the cost of the project to be around 1.25 million euro, much less than the Socialist Party figures, and has already received support from Nikolay Ovcharov, one of Bulgaria’s most prominent archaeologists, who introduced her to Boyko Borissov, the country’s PM. Mr. Borissov promised to put an end to the building’s continuing decay, even though there are still many in the country who see it as a reminder of an era of totalitarian rule and would rather leave it to ruin. This entry was posted in Balkan Adventure 2016, Travel and tagged Bulgaria, Buzluzdha by Kilian. Bookmark the permalink.